By Joseph Alton, M.D. and Amy Alton, A.R.N.P. As a medical doctor/registered nurse practitioner team, we received conventional medical training at university hospitals while getting our degrees. Since that time, however, we have explored various alternative methods of healing; this is not to replace our education, but as a supplement and as an additional tool in the medical woodshed. One class of alternative remedies that are commonly used is essential oils. These substances are called "essential" because they capture the "essence" of the plant. Unlike cooking oils, such as olive or corn, these oils are less fixed and more volatile. That means that they tend to evaporate easily, unlike the "fixed" oils, which don't evaporate even in high temperatures. As such, essential oils are popular in aromatherapy. Although you might not realize it, you've been using essential oils all your life. You've no doubt used them in soaps, furniture polishes, perfumes, and ointments. Although it only takes a few leaves of peppermint to make a tea, it takes five pounds of leaves to make one ounce of essential oil. One source states that it takes an entire acre of peppermint to produce just 12 pounds of oil. The same source says that 12,000 rose blossoms are required to produce a tablespoon of rose oil! These concentrated versions are the ones you see marketed in small, dark bottles. You might be surprised to learn that the Food and Drug Administration only requires 10% essential oil in the bottle to be considered "Pure Essential Oil." Beware of claims of FDA certification; the FDA has no certification or approval process for these products. Essential oils are produced by plants to serve as either an attractant to pollinator insects (hence their strong fragrance) or as a repellent against invading organisms, from bacteria to animal predators. These substances usually contain multiple chemical compounds, making each plant's essential oil unique. Oils may be produced by leaves, bark, flowers, resin, fruit, or roots. For example, lemon oil comes from the peel, lavender oil from flowers, and cinnamon oil from bark. Some plants are sources of more than one essential oil, dependent on the part processed. Some plant materials produce a great deal of oil; others produce very little. The strength or quality of the oil is dependent on multiple factors, including soil conditions, time of year, sub-species of plant, and even the time of day the plant is harvested. Essential oils are commonly used in alternative remedies. They are called "essential" because they capture the "essence" of the plant. As each essential oil has different chemical compounds in it, it stands to reason that the medicinal benefits of each are also different. As such, an entire alternative medical discipline has developed to find the appropriate oil for the condition that needs treatment. 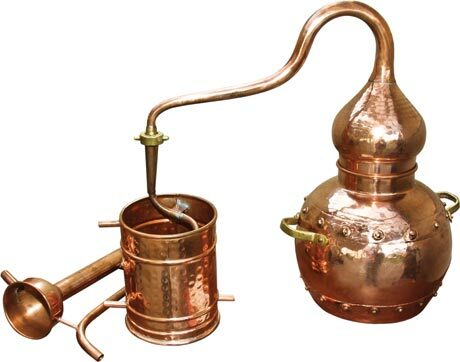 Distillation method: Using a "still" like old-time moonshiners, water is boiled through an amount of plant material to produce a steam that travels through cooled coils. This steam condenses into a "mixture" of oil and water (which doesn't really mix) from which the oil can be extracted. Pressing method: The oils of citrus fruit can be isolated by a technique which involves putting the peels through a "press." This works best only with the oiliest of plant materials, such as orange skins. Maceration method: A fixed oil (sometimes called a "carrier" oil) or lard may be combined with the plant part and exposed to the sun over time, causing the fixed oil to become infused with the plant "essence." Oftentimes, a heat source is used to move the process along. The plant material may be added several times during the process to manufacture a stronger oil. This is the method by which you obtain products such as "garlic-infused olive oil." A similar process using flowers is referred to as "enfleurage." Although you might not realize it, you've been using essential oils all your life. You've no doubt used them in soaps, furniture polishes, perfumes, and ointments. Inhalation therapy: This method is also known as "aromatherapy." 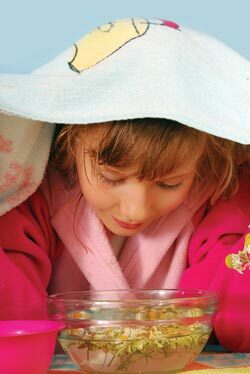 Add a few drops of the essential oil in a bowl of steaming water (distilled or sterilized), and inhale. This method is most effective when placing a towel over your head to catch the vapors. Many people will place essential oils in potpourri or use a "diffuser" to spread the aroma throughout the room; this technique probably dilutes any medicinal effects, however. Topical application: The skin is an amazing absorbent surface, and using essential oils by direct application is a popular method of administration. The oil may be used as part of a massage, or directly placed on the skin to achieve a therapeutic effect on a rash or muscle. Before considering using an essential oil in this manner, always test for allergic reactions beforehand. Even though the chemical compounds in the oil are natural, that doesn't mean that they couldn't have an adverse effect on you (case in point: poison ivy). A simple test involves placing a couple of drops on the inside of your forearm with a cotton applicator. Within 12-24 hours, you'll notice a rash developing if you're allergic. Mixing some of the essential oil with a fixed or "carrier" oil such as olive oil before use is a safer option for topical use. Another concern, mostly with topically-applied citrus oils, is "phototoxicity" (an exaggerated burn response to sun exposure). I have some reservations about whether applying an essential oil on the skin over a deep organ, such as the pancreas, will have any specific effect on that organ. It is much more likely to work, however, on the skin itself or underlying muscle tissue. Ingestion: Direct ingestion is unwise for many essential oils, and this method should be used with caution. Most internal uses of an essential oil should be of a very small amount diluted in at least a tablespoon of a fixed oil such as olive oil. Professional guidance is imperative when considering this method. You can always consider a tea made with the herb as an alternative. This is a safer mode of internal use, although the effect may not be as strong. Essential oils have been used as medical treatment for a very long time, but it's difficult to provide definitive evidence of their effectiveness for several reasons. Essential oils are difficult to standardize, due to variance in the quality of the product based on soil conditions, time of year, and other factors that we mentioned above. An essential Eucalyptus oil may be obtained from Eucalyptus Globulus or Eucalyptus Radiata, for example, and have differing properties as a result. These factors combine to make scientific study problematic. 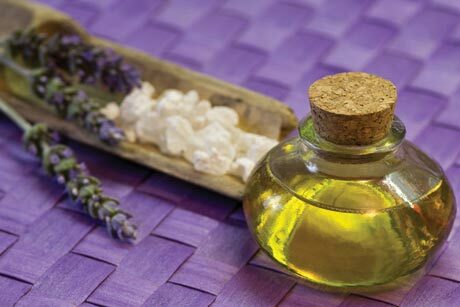 The majority of studies on essential oils have been conducted by the cosmetics and food industries; some have been conducted by individuals or small companies. Standard studies for medicinal benefit are usually performed by the pharmaceutical industry, but they generally have little interest in herbal products. This is because they have few options in patenting these products. Therefore, serious funding is hard to find because of the limited profit potential. Despite this, essential oils have various reported beneficial effects, mainly based on their historical use on many thousands of patients by alternative healers. Although it only takes a few leaves of peppermint to make a tea, it takes five pounds of leaves to make one ounce of essential oil. Lavender oil: An analgesic (pain reliever), antiseptic, and immune stimulant. It is thought to be good for skin care and to promote healing, especially in burns, bruises, scrapes, acne, rashes, and bug bites. 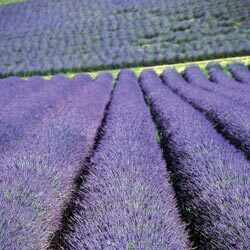 Lavender has a calming effect, and is used for insomnia, stress, and depression. It has been reported effective as a decongestant through steam inhalation. Lavender oil may have use as an antifungal agent, and may be used for Athlete's foot or other related conditions. Eucalyptus oil: An antiseptic, antiviral, and decongestant (also an excellent insect repellent), Eucalyptus oil has a "cooling" effect on skin. It also aids with respiratory issues and is thought to boost the immune system. Consider its use for flus, colds, sore throats, coughs, sinusitis, bronchitis, and hay fever. When exposure is expected, it has been reported to have a preventative effect. Eucalyptus may be used in massages, steam inhalation, and as a bath additive. Although eucalyptus oil has been used in cough medicine, it is likely greatly diluted and should not be otherwise ingested in pure form. Melaleuca (Tea Tree) oil: Diluted in a carrier oil such as coconut, Tea Tree oil may be good for athlete's foot, acne, skin wounds, and even insect bites. 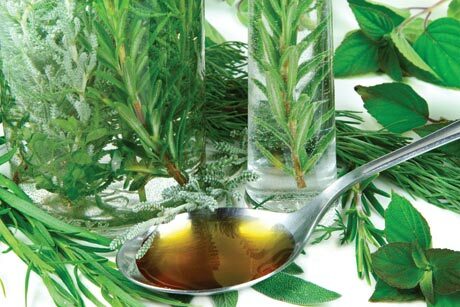 In the garden, Tea Tree oil is a reasonable organic method of pest control. In inhalation therapy, it is reported to help relieve respiratory congestion. Studies have been performed which find it effective against both Staphylococcus and fungal infections. Some even recommend a few drops in a pint of water for use as a vaginal douche to treat yeast. Tea Tree oil may be toxic if used in high concentrations, around sensitive areas like the eyes, or ingested. Peppermint oil: This oil is said to have various therapeutic effects: antiseptic, antibacterial, decongestant, and anti-emetic (stops vomiting). Peppermint oil is applied directly to the abdomen when used for digestive disorders such as irritable bowel syndrome, heartburn, and abdominal cramping. 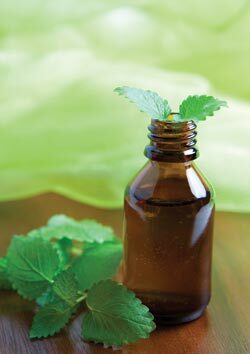 Some herbalists prescribe peppermint for headache; massage a drop or two to the temples as needed. For sudden abdominal conditions, achy muscles or painful joints, massage the diluted oil externally onto the affected area. As mentioned previously, definitive proof of the topical application effects on deep organs is difficult to find. Lemon oil: Used for many years as a surface disinfectant, it is often found in furniture cleaners. Many seem to think that this disinfecting action makes it good for sterilizing water, but there is no evidence that it is as effective as any of the standard methods of doing so, such as boiling. Lemon oil is thought to have a calming effect; some businesses claim to have better results from their employees when they use it as aromatherapy. Don't apply this oil on the skin if you will be exposed to the sun that day, due to possible phototoxicity. Clove oil: Although thought to have multiple uses as an anti-fungal, antiseptic, antiviral, analgesic, and sedative, clove oil particularly shines as an anesthetic and antimicrobial. It is marketed as "Eugenol" to dentists throughout the world as a natural pain killer for toothaches. A toothpaste can be made by combining clove oil and baking soda; when mixed with zinc oxide powder, it makes an excellent temporary cement for lost fillings and loose crowns. Use clove oil with caution, as it may have an irritant effect on the gums if too much is applied. Neem oil: With over 150 chemical ingredients, the Neem tree is referred as "the village pharmacy" in its native India. The majority of Ayurvedic alternative remedies have some form of Neem oil in them. Proven as a natural organic pesticide, we personally use Neem oil in our vegetable garden. Reported medicinal benefits are too numerous to list here and seem to cover just about every organ system. It should be noted, however, that it may be toxic when the oil is taken internally. Frankincense oil: One of the earliest documented essential oils, evidence of its use goes back 5000 years to ancient Egypt. Catholics will recognize it as the incense used during religious ceremonies. Studies from Johns Hopkins University and Hebrew University state that Frankincense relieves anxiety and depression in mice (how, exactly, was this determined?). Direct application of the oil may have antibacterial and antifungal properties, and is thought to be helpful for wound healing. As a cold or steam inhalant, it is sometimes used for lung and nasal congestion. Oregano oil: An antiseptic, oregano oil has been used in the past as an antibacterial agent. It should be noted that oregano oil is derived from a different species of the plant than the oregano used in cooking. One of the few essential oils that are safe to ingest, it is thought to be helpful in calming stomach upset, and may help relieve sore throats. Its antibacterial action leads some to use the oil in topical applications on skin infections when diluted with a carrier oil. It may reduce the body's ability to absorb iron, so consider an iron supplement if you use this regularly. Thyme oil: Reported to have significant antimicrobial action, diluted thyme oil is used to cure skin infections, and may be helpful for ringworm and athlete's foot. Thyme is sometimes used to reduce intestinal cramps in massage therapy. As inhalation therapy, it may loosen congestion from upper respiratory infections. Many essential oils are marketed as blends, such as "Thieves' Oil." This is a combination of clove, lemon, cinnamon bark, eucalyptus, and rosemary essential oils. Touted to treat a broad variety of ailments, studies at Weber State University indicate a good success rate in killing airborne viruses and bacteria. Of course, the more elements in the mixture, the higher chance for adverse reactions, such as phototoxicity.